Potawatomi wove spiritual and physical life together in balance with the environment. Before French explorer Jean Nicolet introduced colonialism to the Potawatomi in the 17th century, its society interlaced a respect for nature, an emphasis on community and a thankfulness for the gifts and knowledge bestowed upon the people by the Creator into daily life. 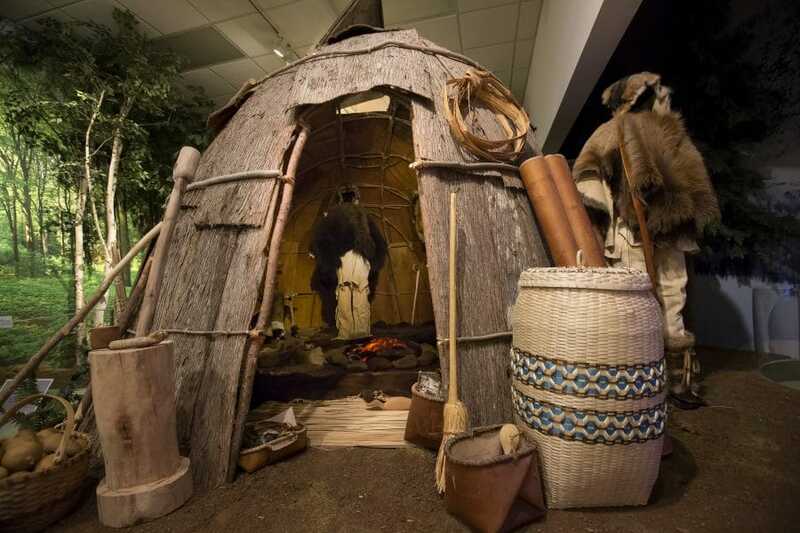 CHC’s third exhibit highlights the balance once held between the Potawatomi, the earth and the pieces of culture kept alive despite centuries of unrest, including activities such as hand games, fishing and hunting as well as traditional medicines and teachings. Potawatomi bmadzewen (life) cycled like the four seasons: mnokme (spring), niben (summer), dgwaget (fall) and bbon (winter). “Whether it be simple lifeways and survival strategies and subsistence, to leisure and ceremony, everything was in balance with each other,” said Blake Norton, Citizen Potawatomi Nation CHC curator. Each season brought specific governances with it. This section emphasizes how the Potawatomi interacted with their environment and the connection once held between spiritual and physical realms. During bbon (winter), Potawatomi trapped, hunted game and spent much of their time indoors to survive long and strenuous Great Lakes’ winters. Potawatomi share many oral traditions during this time of year while the spirits are at rest. Life reawakened during mnokme (spring). The Potawatomi gave thanks for protection during bbon (winter) and the abundance provided. The sugar bushes’ flowing maple sap during mnokme called Potawatomi families to their sugar bush camp, transforming the trees’ nectar into sugar and syrup. In niben (summer), the Potawatomi gathered to celebrate and connect with each other. While comradery was an essential part of this season, they also took advantage of the longer days and warm weather to secure sustenance for the winter ahead, Norton said. Between niben and dgwaget (fall), the people gathered at lakes to harvest wild rice. Dgwaget served as a time to prepare for the long winter ahead by harvesting and storing food. CPN tribal member and seamstress Gayla Mosteller sewed and created attire featured throughout the CHC, including the traditional pre-European contact garments featured in this section. The seasons and environment not only dictated activities, but also impacted the Potawatomi’s choice of clothing. Sticking true to tradition, she took pieces of beaver, elk, bison and fox hides, blending them together while remaining mindful of the story each pelt had to tell. Mosteller explained that while working on the displays throughout the CHC, she felt a strong, ancestral presence and a connection to the Tribe’s past. “It was really, really awesome,” she said. For her favorite project, the fur boots featured in the bbon (winter) scene, she used fur and elk hoofs. “These were the 1600s Uggs of the day,” she said, then laughed. She especially enjoyed using her skills as a seamstress to aid her daughter, CHC Director Kelli Mosteller, through the center’s renovations. Instead of featuring large feather headdresses, which is not traditional for the Potawatomi, she created a fur turban. “We covered up more because we had the cold weather,” she said. Potawatomi also used debekgises (the moon) as a guidepost and calendar. They accomplished specific duties and tasks throughout each lunar cycle. Examples include the Berry Picking Moon, Bark Peeling Moon, Ricing Moon, Big Bear Moon, Little Bear Moon and Suckerfish Moon. Each moon’s name and activities could vary among Potawatomi groups depending upon their environment. Some may have called August-September’s full moon Ricing Moon, and others may referred to it as the Leaves Turn Yellow Moon, Ripening Moon and even Cottontail Moon, said Blake Norton, Curator, CPN Cultural Heritage Center. The environment also determined the type of housing used. Like today, many forms of shelter existed across different tribes and groups of people, depending upon lifestyles and available resources, Norton said. The Potawatomi utilized several shelters including a wigwam and the nsoe’gen. Saplings serve as a wigwam’s framework. Birchbark, hides or cattail mats cover the round, domed-shaped shelter. The Potawatomi used wigwams in their more permanent camps and generally opted for nsoe’gens made out of bark and poles while on the move. Compared to the wigwams, the nsoe’gen’s components were less cumbersome to pack and transport. The exhibit also displays tools the Potawatomi used including early stone axes called kemsagen and a variety of arrowheads. The star-shapes that illuminate the night sky served as a reference point and educational tool for Potawatomi. “The constellations that you see are connected back to oral stories and parables, so they’re really teaching vessels,” Norton said. Norton said each one has a spiritual component. The night sky features new constellations throughout the year. Star knowledge is the oldest form of Native American science. Astrology served as a map for the Potawatomi by helping guide the present and future. “Again, everything in itself is connected,” he said. Museum visitors can use the interactive galaxy display within this section to learn more about this ancient science. This exhibit features three traditional games including the moccasin game, snow snake and bowl and dice. Nathan Hawkins, CPN web developer and Shawn Barfield, CPN AV production manager, worked with CHC staff and CPN’s Information Technology Department to provide the games in digital format. The program software used to develop the games required Hawkins to learn an entirely new programming language. “My role was to design and build each interactive, making sure everything worked as it should and collaborating with Shawn to make sure all of the artwork was cohesive throughout the entire section,” Hawkins said. The Information Technology department assisted with hardware and installation of each interactive component featured throughout the CHC. 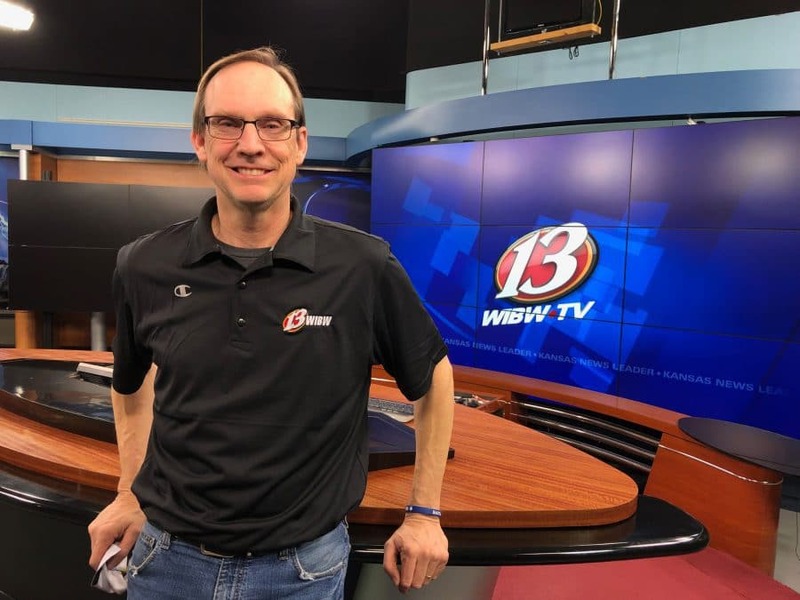 “These interactives are very important to me because they are going to be seen for years and represent part of Potawatomi culture, so I do want to give them the time and attention they deserve,” Barfield said. “It was a long learning process, as I attempted several different techniques, and even now I am still finding the best techniques for version 2.0, which is due for festival this year,” Barfield said. These games provide the Potawatomi more than just extracurricular enjoyment. “Some of the traditional games have deeper significance to them. Many had spiritual and healing qualities,” Norton said. For moccasin, “Traditionally, it’s more of a man’s game, but everybody can really play it these days,” Norton said. It features a hider and a seeker for each team and is similar to the modern-day shell game. Norton said the moccasin game is extremely competitive and can last weeks, sometimes months, at a time. Bowl and dice is traditionally a women’s game. However, not everyone possessed the game pieces, nor could every woman play. Once a woman received her set, they would host a feast and invite others to play. Snow snake utilizes snow banks or frozen bodies of water as a chute to luge a spear-shaped branch. As it travels down the chute, the stick slithers like a snake. Whoever flings their rod the longest distance wins. “People consider it a healing game mainly because of the camaraderie and everybody having fun and getting out, especially during wintertime,” Norton said. “Winter was a pretty rough time back then, both physically and psychologically. “Having games and stuff like that where you can actually get together in group activities — having that camaraderie, enjoying one another — that would be considered healing,” he said. For the Neshnabé and Potawatomi in particular, basketry emerged as a utilitarian tool that evolved into an art form, said CHC Director Kelli Mosteller. The baskets displayed in exhibit three feature some of the best and most intricate pieces from the CHC’s extensive collection, including baskets woven out of sweetgrass, birchbark, quill and black ash. One side of the display features an interactive about the Potawatomi medicine wheel. Sweetgrass, sage, tobacco and cedar are the Potawatomi’s four most sacred medicines. Sweetgrass prefers to grow in moist areas and can reach 7 or 8 feet in height. On the medicine wheel, white represents the direction north and this sacred, aromatic herb. Cedar often covers the ground to make a soft floor for ceremony in sweat lodges. On the medicine wheel, red symbolizes cedar and the direction south. Cedar may also treat chest congestion, colds and other respiratory issues, she said. Yellow on the wheel represents tobacco and symbolizes the direction east. 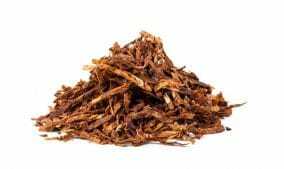 One of tobacco’s many uses its ability to help people communicate with the Creator. Black signifies sage and the direction west. The smoke from sage provides purification, she said. These four medicines serve a purpose for the community, and each distinct characteristic and property themselves are gifts, she said.